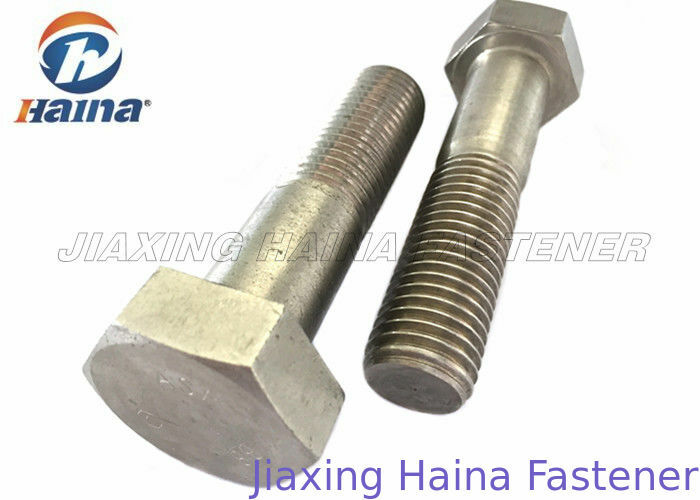 Hexagonal bolt combined with head and the screw fastener, consisting of bolts Material iron bolts and stainless steel bolts, which can divided into full thread hex bolt and half thread hex bolt. Reasonably, these kinds of fasteners might be known as bolts, but according to the US government document Distinguishing Bolts from Screws products' standard. The grade of the iron bolts are 3.6,4.6,4.8,5.6,6.8,8.8,9.8,10.9,12.9 etc, bolts Gr8.8 or above which is made of low carbon steel or carbon steel with heat treatment (quenching and tempering), normally named as high strength bolts, the rest is known as ordinary bolts. The stainless steel are SUS201 SUS304 SUS316 etc. Used with the nut for fastening two parts with hole. Thread diameter edge-to-edge head size size S socket wrench combination wrenches Double open-end wrench Double wrench. Hex bolts are the most frequently used types A bolt where it holds the main function is to meet with the nut thread. With this threaded connection method, so that the two parts into one. 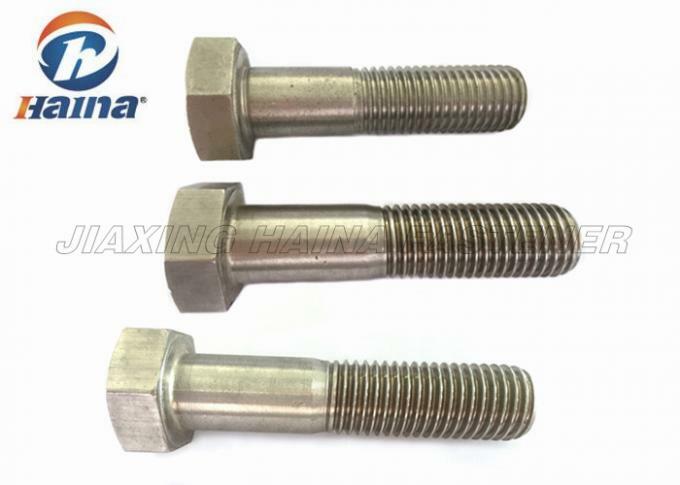 C grade hex bolts used mainly in rough surface, the steel structure of less precision machinery, equipment. A and B grade hex bolts are mainly used in the smooth surface of the high precision machinery and equipment. Most stainless steel hex screws with hexagonal head are whole tooth the whole tooth Bolt Standard: DIN933, GB5783, ISO4017, ANSIB18.2.1, JISB1180; non-standard whole tooth bolts DIN931, GB5782, ISO4014, ANSIB18.2.1, JISB1180. Designed for using in high-stress and high-strength applications. General Fastening applications where need high strength and superior corrosion resistance. Common chioce for fastening, which provide high tensile, offering high holding power and corrosion resistance and don't need any coating. Durability testing and critical technical design to enhance fasteners lifetime. Competitive prices with professional factory supply. Perfect fastening solution with 10 years experiences to solve your problem: Wide range of parts selection.